Since 1999, Radiantz has brought motorcycle enthusiasts everything they need to brighten up their ride. Our range of LED lights for Suzuki motorcycles offers the brightest Suzuki GSXR 600 LED lights, including Suzuki GSXR 600 tail lights that make sure everyone on the road can see where you are and know where you're going. 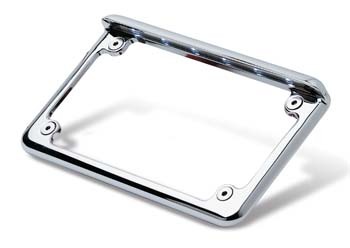 Choose from red, yellow and white turn signals for the license plate frame or other mounting options. Suzuki GSXR LED lights are not the only choice. Our selection of flexible strips, bullets, cat’s eye and other options offer style and safety with Suzuki Hayabusa LED lights and Suzuki Boulevard LED lights. No matter what style of the brightest LED lights on the market you choose, installation is easy. Just pick up a premade light kit with everything you need or buy LED strip extension cords, dual element circuit wires, and strobe or tail light flasher assemblies. Enjoy free shipping over $150 and all applicable warranties.